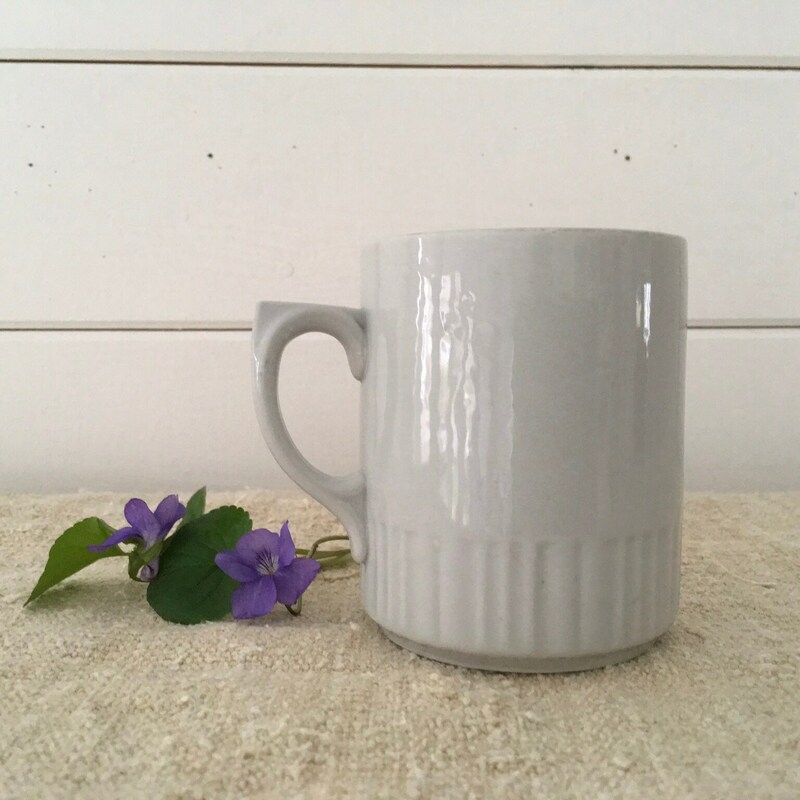 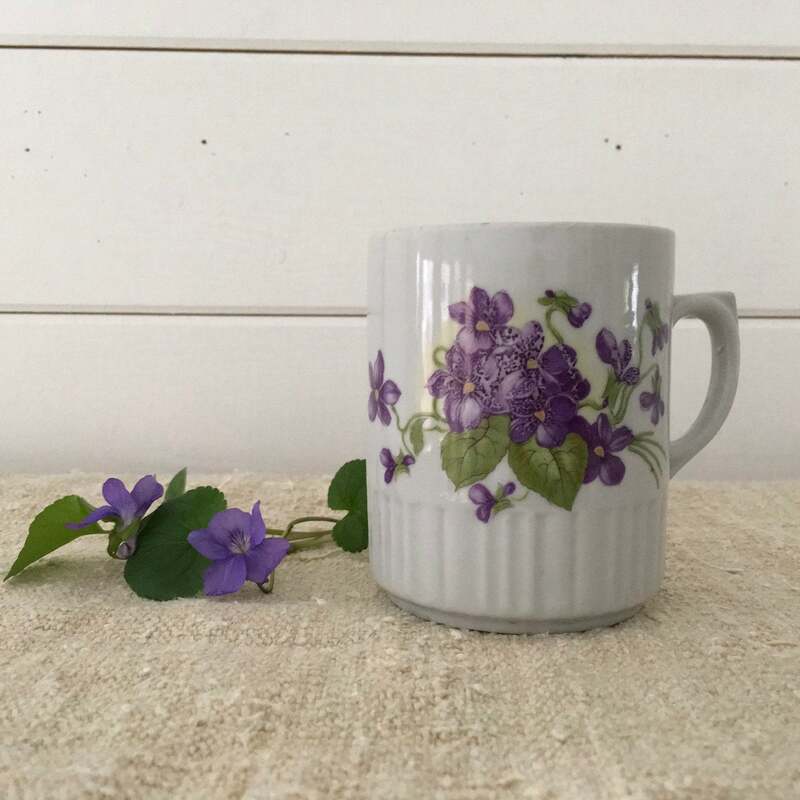 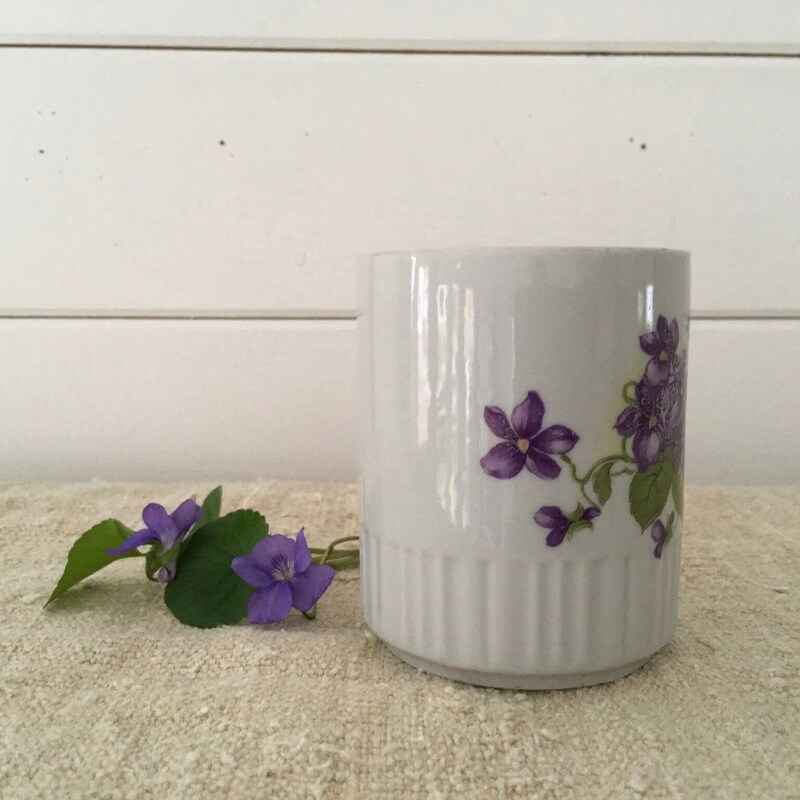 This gorgeous vintage ceramic has been transferred with violet flowers and leaves design. 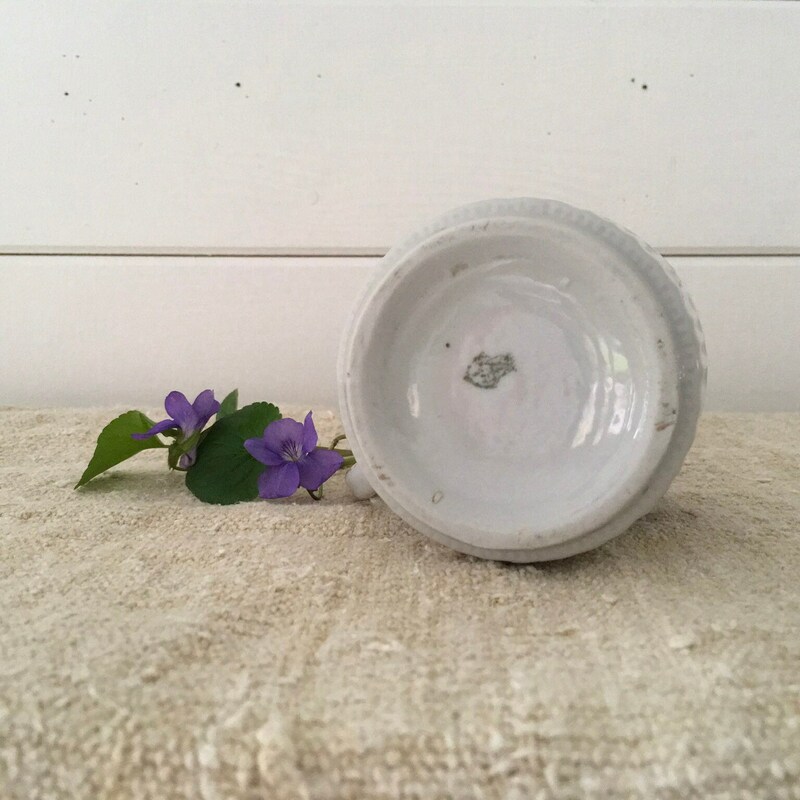 The cup is in good condition, the transfer is a bit worn in one area. 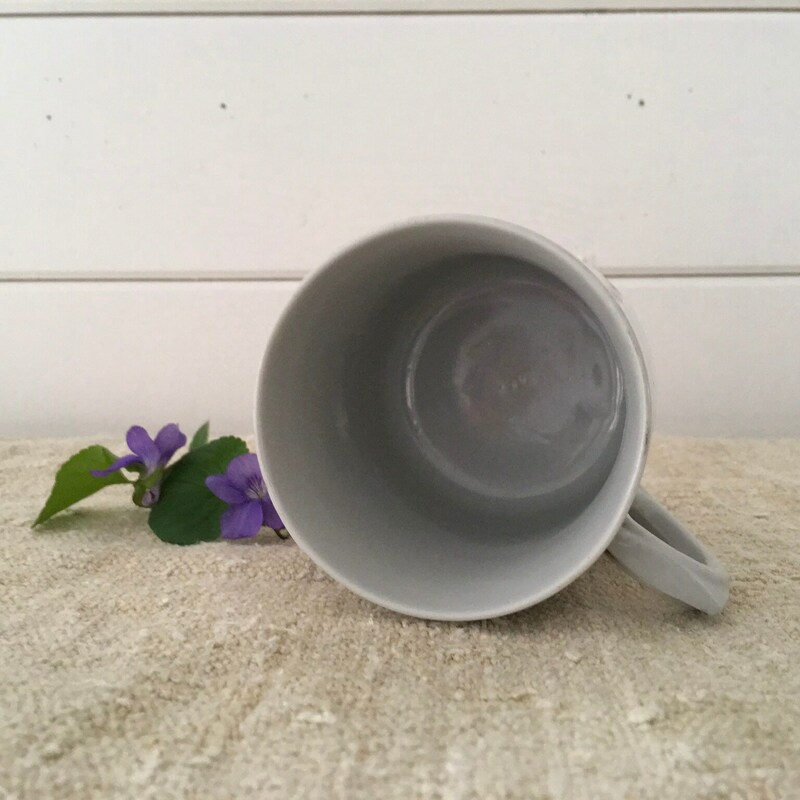 The cup measures 9.5cms high or 3.75 inches.